Iron Bow’s accomplished leadership team brings the vision and expertise required to consistently deliver solutions that help organizations excel. Individually each provides unique talents. Together they provide the chemistry that makes Iron Bow a uniquely strong and trusted solutions partner. Rene’s career spans three decades of sales, marketing, operations, finance and accounting experience at organizations such as Apptis, Northrop Grumman IT, Federal Data Corporation and Ernst & Young. As President and CEO, Rene led the team that was once Apptis Technology Solutions in the spin out from Apptis to become what is now Iron Bow Technologies, and has been leading the business since 2004. Rene is responsible for driving Iron Bow’s strategic initiatives to align with the dynamic technology landscape and customer requirements of today, while also creating a top workplace culture for the employees at Iron Bow. 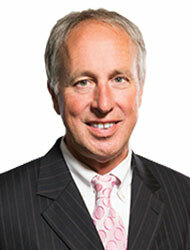 He was most recently recognized by The Daily Record as one of Maryland’s Most Admired CEO’s. It is Rene’s forward-thinking and motivation behind the Iron Bow customer first culture that keeps Iron Bow at the forefront of the IT industry. Rene received his Bachelor of Science degree in Accounting from Loyola Marymount University. He is a Certified Public Accountant and is a member of the American Institute of Certified Public Accountants. Rene has been a member of the Board of Directors of the Technology Council of Maryland since 2002, and most recently served as the Board’s Chairman. He was a founding Member and Chair of the Prince George’s Technology Council and now serves as a member of the Board of Directors of the Prince George’s Community College Foundation and Chairman of the Board at Doctors Community Hospital. In addition, Rene is co-chair for GovEvolve an advocacy organization that promotes public policies that encourage innovation, competitiveness and government IT modernization. For over 30 years, Stu has been marketing technology solutions to the federal government and commercial organizations. As Senior Vice President of Sales, Stu is engaged with all aspects of the sales process. He manages the entire sales organization including more than 100 sales and sales support professionals along with Iron Bow’s solution architects, partner alliances and marketing. During his career, Stu has worked with clients in virtually every major civilian, defense and intelligence agency of the U.S. government, as well as many top commercial enterprises. Prior to Iron Bow, Stu served as Vice President of Sales for Apptis Technology Solutions (ATS), where he worked alongside the executive team to spin the organization off to become what is now Iron Bow. Before joining ATS, Stu served in sales leadership positions selling exclusively to the federal sector at Northrop Grumman IT and Federal Data Corporation. Stu earned his Bachelor of Arts in Marketing from James Madison University in Virginia. Scott has been working in the information technology sector for over 25 years, spending the past decade and a half with Iron Bow. Throughout his tenure, Scott has served in leadership roles within the areas of sales and strategic alliances. Currently, Scott serves as the General Manager of Iron Bow’s Healthcare Solutions and is responsible for the overall management and delivery of telehealth solutions supporting both federal and commercial healthcare organizations. Iron Bow’s solutions include flexible hardware platforms, a variety of consumption models and services ranging from installation through 24/7/365 client support. Prior to his current role, Scott served as the General Manager of Civilian, and was responsible for the strategy, management and delivery of information technology solutions in support of U.S. government civilian agencies. Scott also previously served as Iron Bow’s Director of Partner Alliances, where he grew and led the team responsible for Iron Bow’s strategic technology partnerships. Having been with Iron Bow, through its rebrand, Scott has been part of the growth and success of the organization. Before joining Iron Bow, Scott held Strategic Alliance positions with Northrop Grumman and began his career at NASA/Goddard Space Flight Center in ADP and Satellite contracting. Scott earned his Bachelor of Arts degree in Economics from the University of Maryland Baltimore County. With over 25 years of experience working for leading IT solutions providers, Marc is a versatile technology leader with focused expertise in consulting services and large-scale IT operations. As Senior Vice President, Marc guides the technology direction of Iron Bow ensuring the company’s offerings leverage industry innovations, align with client needs and are seamlessly delivered. Marc has held senior management responsibilities in every phase of technology delivery, including marketing, business development, design, implementation, operations and support. With this experience, he brings a broad perspective to Iron Bow’s delivery approach. He is committed to leveraging expertise and best practices in each area to ensure consistent positive client experiences and results. Prior to Iron Bow, Marc served as Vice President, Public Sector Services and Programs for Apptis Technology Solutions (ATS) where he managed IT services and infrastructure support to defense, civilian and commercial clients. He has also held senior management or technical positions at Northrop Grumman, PRC, DynCorp, Wang and Martin Marietta. Marc achieved a Bachelor of Science in Information Systems Management with a secondary concentration in Business Management from the University of Maryland. 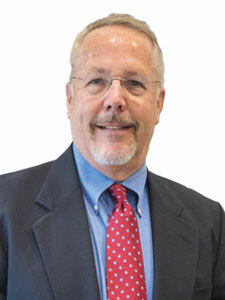 Tony Mines has been designing telehealth and audio / visual products for nearly 40 years. Tony was born in the UK and after completing his studies in Electrical and Electronic engineer, and a short time designing commercial television studios, was fascinated by the then new technology of face to face visual communications. Quickly embracing how such a technology could change the world of commerce and industry by allowing team decision making to be virtually instantaneous, Tony quickly became one of the early innovators of the emerging technology. Designing and building systems in Europe for prestigious corporations such as Hewlett Packard and Xerox who immediately saw the benefits of instant Global cooperation between scientists and engineers physically located in their facilities across the globe. Following a move to Canada in the late 80’s, the vastness of the country with such a sparse population quickly lent itself to new applications for visual communications in distance education and telemedicine. 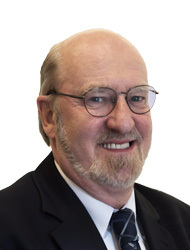 Throughout his career in the industry Tony has led development teams for Internet Technology, CBCI Telecom, Tandberg and Cisco, as well as well as designing specialist application products for many other video communications market leaders such as Polycom and SOC. In his current role as Senior Director of Product Development for Iron Bow’s Healthcare Group, Tony leads the product development team responsible for the developing specialized products specifically geared to the needs of major healthcare organizations. Richard Grace is a 27 year veteran of the video collaboration market. With specific expertise in telemedicine his clients gain valuable insights into programs that have been successful over the years. As a Senior Account Executive at Iron Bow Healthcare Solutions Richard’s knowledge of the market and how to build a successful telehealth program ensure his clients a positive experience. Prior to joining Iron Bow in December 2016 Richard was VP of Sales at Focal Point, Inc., a manufacturer of interactive video collaboration solutions for the Healthcare, Distance Education and Judicial markets. Focal Point, Inc. produced products for industry giants such as Cisco, Polycom and industry specific products for companies such as Specialist on Call. 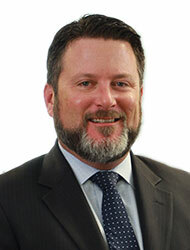 From the late 1990s to 2012 Richard was with TANDBERG/Cisco and its predecessors as VP of Sales. As an original member of the TANBERG move to the U.S. he began the sales division that focused on vertical markets such as Healthcare and Distance Learning. These sales organization consistently doubled revenues on an annual basis and captured top market leadership positions. In the years leading up to the Cisco acquisition of TANDBERG, Richard started the Executive Briefing Program which grew to 10 locations worldwide and touched over 1 billion dollars in sales annually. Richard has an Economics degree from Washington & Lee University. Immediately after school he was commissioned in the U.S. Army where he served as a combat arms officer (Captain) in a nuclear capable Artillery Battalion. A passionate entrepreneur and proven business leader, Kevin Greene has more than 25 years of information technology experience. His background spans sales, marketing and operations, and he has been a driving force in building and developing organizations from the ground up at both the regional and national levels. Previously the General Manager for Iron Bow’s Commercial Division, Kevin has a knack for envisioning and creating cutting-edge solutions for various industries. Since assuming his current role, Kevin has crafted innovative, collaborative telemedicine solutions that expand the reach of healthcare and improve patient outcomes. Prior to joining Iron Bow in 2009, Kevin served in senior executive roles at Lockheed Martin, SAIC, Northrop Grumman and ePlus, a technology solutions provider for enterprise and healthcare organizations. 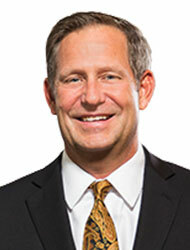 Kevin is a member of the Technology Council of Maryland, American Telemedicine Association and the Alliance for Connected Care. 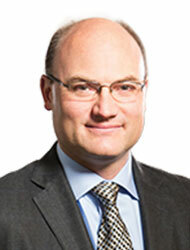 He also serves as a Senior Member of Cisco Systems’ Channel Advisory Board. Kevin holds a Bachelor of Science in Business Management and Marketing from Radford University, where he was the founding father of the Sigma Nu Fraternity, Radford University chapter. He also served as a member of the United States Army National Guard for 4 years. 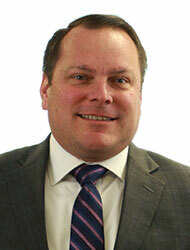 Patrick Rainville currently serves as the Director of Engineering for Iron Bow Healthcare Solutions. With an extensive background in collaboration technology and an in-depth understanding of the healthcare industry, Patrick has a natural and proven ability for developing innovative technology platforms for various medical specialties and modalities. He works directly with clinicians and strategic partners to understand the needs inherent to their practice areas and builds customized workflow solutions to address those needs. Since joining Iron Bow in 2013, Patrick has architected more than 20 use cases for telemedicine that the company has transformed into real world technology solutions. Iron Bow now offers telemedicine applications for specialties as diverse as stroke, cardiology, pediatrics, genetic counseling and mental health. Patrick manages and oversees Iron Bow’s product development team which produces and manufactures purpose built telehealth products and software solutions. Patrick’s career history includes 15 years at Cisco Systems where he began as a Channel Systems Engineer and progressed through various Account Management positions. Advancing further, he became Cisco’s Advanced Technology Channel Account Manager responsible for Direct Value Added Reseller (DVAR) relationships with firms including Iron Bow, ePlus and IBM. Patrick was recognized as Advanced Technology Channel Account Manager of the Year for Cisco globally in 2010. Previously, Patrick worked at Lucent Technologies as a Network Consultant focused on the K-12 market. Patrick holds a Bachelor of Science in Electrical Engineering from George Mason University. Iron Bow’s Director of Collaboration since 2012, Dan Klanderman has over 20 years of experience in unified communications, collaboration and video conferencing. Previously, Dan managed product development teams at both TANDBERG and Cisco that focused on video communication and telepresence solutions for diverse environments, most notably for healthcare applications. Working with customers such as the Department of Veterans Affairs, Kaiser Permanente and Georgia Partnership for Telehealth, Dan has gained rich insight into the healthcare industry – specifically, how to integrate technology into workflows to achieve successful outcomes for patients and providers. Dan holds a Master of Science in Telecommunications from the Volgenau School of Engineering at George Mason University and a BA in Mathematics, also from George Mason University. Andrew “Drew” Glasgow, a twenty-year IT sales and management professional, is the Senior Account Executive for Iron Bow Healthcare Solutions. A founding member of the Iron Bow Healthcare Solutions team, Drew is focused on accelerating revenue through enterprise client acquisitions, strategic capture activities and sales operations. He also supports the team by participating in partnership development and investment analysis. Drew held a leadership role in solution development, negotiations and capture management of a multi-year sole source telehealth contract with the largest non-profit health system in the U.S. As such, Drew is deeply engaged with the management of this organization’s telehealth program and makes significant contributions to the functional and executive management committees governing the telehealth program of this non-profit. 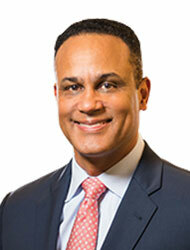 He currently serves as the major account manager for this client along with several other major healthcare systems. He plays a critical role in the identification, capturing and contract negotiations associated with garnering all strategic telehealth opportunities for Iron Bow Healthcare Solutions. 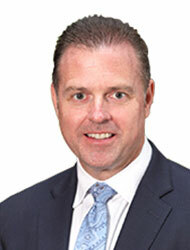 Prior to joining Iron Bow, Drew spent five-years as a Partner and the Vice President of Operations and Business Development for the Glasgow Group, Inc. The Glasgow Group, was an independent telecommunications, collaboration and IT consulting firm serving enterprise legal, non-profit and commercial clients with a strong emphasis on construction and corporate relocations. 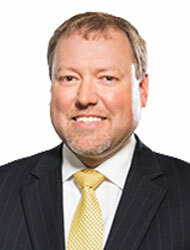 Prior to becoming a Partner at the Glasgow Group, Inc., Drew spent nine years as a Senior Consultant for the Glasgow Group. His duties included business development, client engagement, and delivering technical and business consulting services. 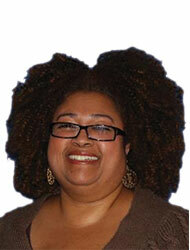 Lisa Martin has over 25 years of sales, operations and accounting experience in the information technology industry. For the past six years at Iron Bow, Lisa has been a Sr. Inside Sales Representative for the Healthcare Solutions and Commercial organizations supporting business development initiatives alongside senior account executives. Prior to joining Iron Bow, Lisa held senior inside sales roles at ePlus Technology, Apptis Technology Solutions (ATS), Northrop Grumman Computing Systems, Hewlett Packard and Network General, where she held both inside sales and account manager positions. Josie has been working in the information technology arena in both the federal and commercial markets for nearly two decades. 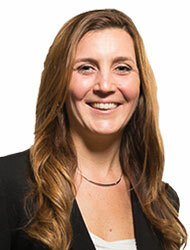 Following the divisional split from its parent in 2010, Josie was an integral player in building the marketing department responsible for the rebranding effort of Iron Bow Technologies. Her efforts in this rebrand helped position the newly formed organization to become a recognized leader in the marketplace. Today, Josie leads the marketing and communications team, which is responsible for elevating and strengthening Iron Bow’s brand, inclusive of digital strategy, creative and content development, social responsibilities, media relations and employee communications. Her work at Iron Bow has been recognized by Cisco as Marketing Innovator of the Year, and most recently by Government Marketing University. Josie holds a Bachelor of Business Administration in Marketing and Minor in Human Resource Development from James Madison University. Josie is a founding member of Iron Bow’s Women in Leadership Organization and currently sits on the advisory board for the Women of Prince George’s County. She has also held seats on marketing advisory councils of leading technology companies such as Cisco, Dell EMC and Palo Alto Networks. Iron Bow Healthcare Solutions empowers providers and patients through the implementation of telehealth. Through our knowledge of the healthcare industry, the depth of our technical expertise, and our workflow process awareness, we enable enhanced patient outcomes through increased access to remote care. The MEDiC, CLINiC and ViTAL logos are trademarks or registered trademarks of Iron Bow Technologies. View our Privacy Statement here. © 2019 Iron Bow Healthcare Solutions. All rights reserved. Iron Bow Healthcare Solutions, MEDiC, CLINiC and ViTAL logos are trademarks or registered trademarks of Iron Bow Technologies.